This is the May Pole on the north end of the festival grounds. 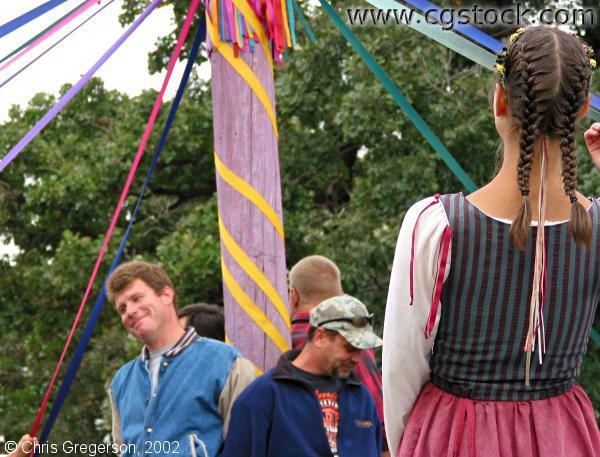 One of the May Pole dancers is on the right. The men at the center of the photo are about to be trapped in the ribbons as the dancers circle the pole.